Over 120,000 social media engagements regarding the Day of Prayer, signifies you shared, you prayed, and you served! Thank you!! We are so grateful for The Family Leader of Iowa, Family Policy Alliance of North Dakota, and Family Heritage Alliance of South Dakota as well as National Day of Prayer state coordinators partnering with their governors for a four-state-united day of prayer. Governor Pete Ricketts issued a Statewide Day of Prayer for this Sunday, April 7th, 2019. It’s a day to unite asking for strength and steadfastness for disaster victims and recovery efforts. Please join Governor Ricketts, First Lady Susanne Shore, Nebraska Family Alliance, and thousands of Nebraskans in spending dedicated time in prayer for our state. 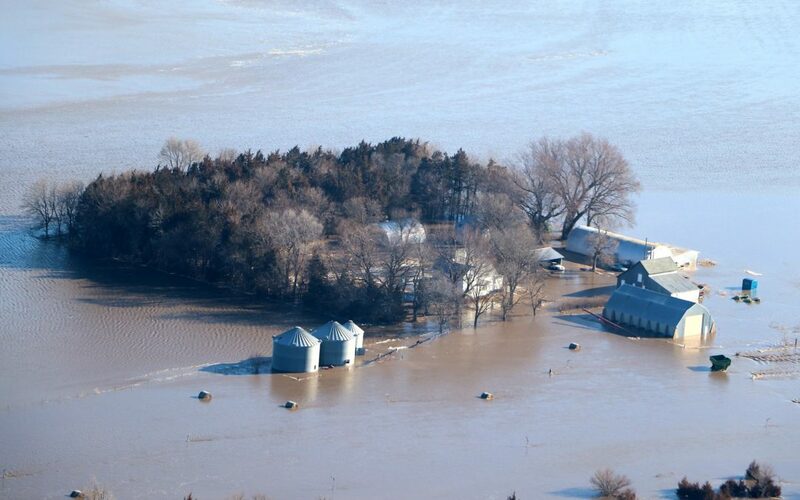 For Nebraska Flood Prayer Points click here. While prayer is important, we can also put our love in action by serving. Our NFA team has compiled a list of resources for you or your church to receive or give help. For Disaster Relief Resources List click here. Also, would you help us spread the word? Click here for social media tools. 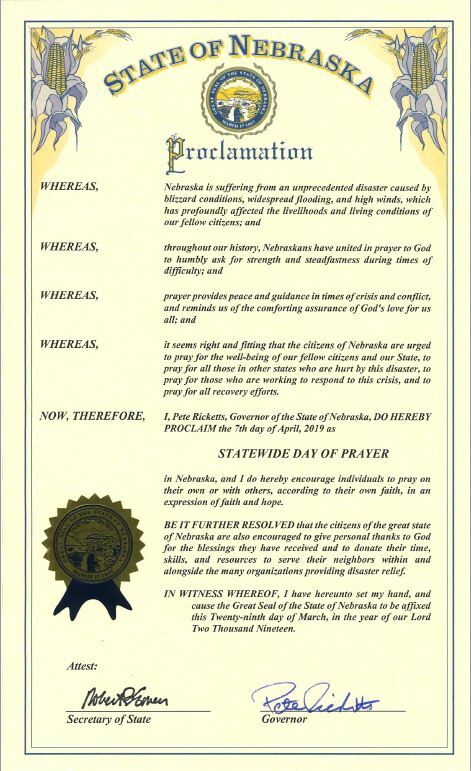 Download Iowa, North Dakota, and South Dakota’s April 7th, 2019 Day of Prayer Proclamations. I, Pete Ricketts, Governor of Nebraska, do hereby declare Sunday, April 7, 2019, as a Statewide Day of Prayer in Nebraska and encourage individuals to pray on their own or with others, according to their own faith, in an expression of faith and hope.